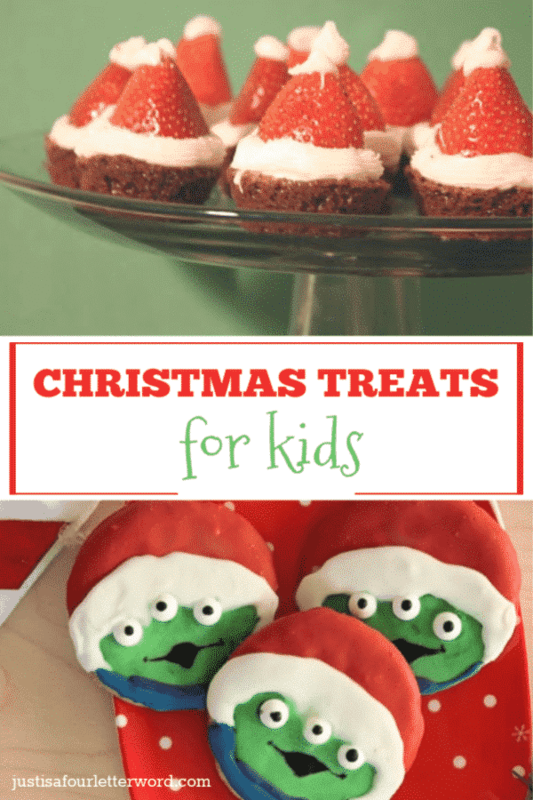 Make these adorable Christmas treats for kids to share at a classroom party or a family get together. Or make a day of it and get the kids involved. I don’t know about you but my boys love helping in the kitchen! Anyone else ready for the weekend? 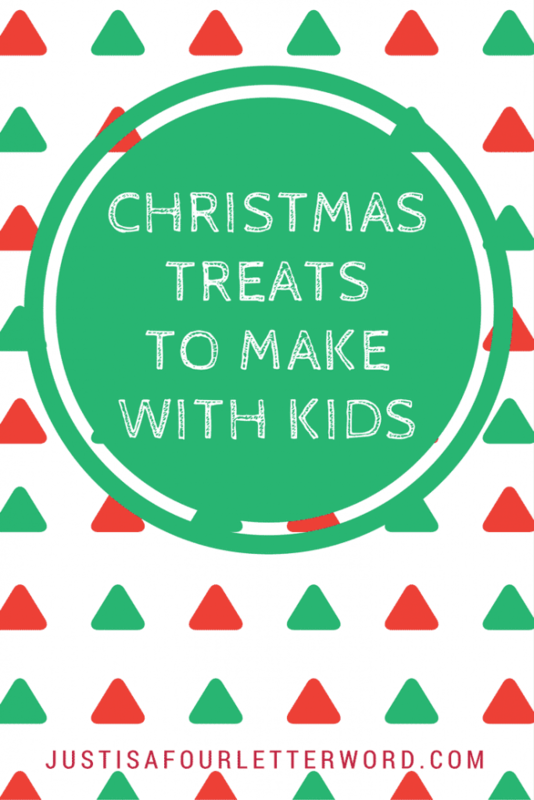 I have a long list of things I want to accomplish and now I have added make at least one of these Christmas treats for kids with Oscar. Aren’t they the cutest? Have I mentioned how much I LOVE the holiday season?! Making Christmas treats is really one of the highlights of the holidays for me. I love eating treats sure, but making them is so much fun! And now that my kids are big enough to help out, we can really get into it. The hardest part is choosing what to make! Want to spend less time cleaning the kitchen so you have more time to make fun Christmas treats? Here are quick holiday cleaning tips for you. 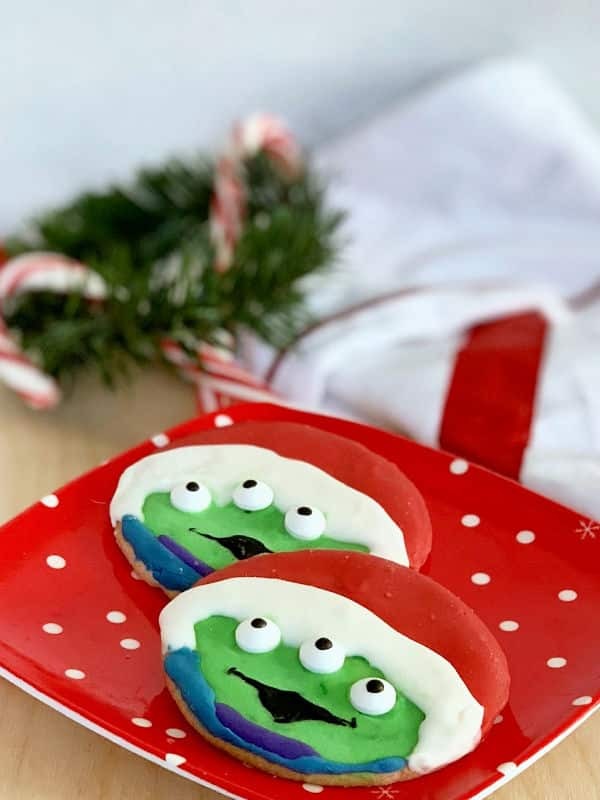 Make these cute Santa Alien Toy Story Christmas cookies to kick off the holiday season, Pixar style! We love all things Toy Story and these cookies were as delicious as they are fun! 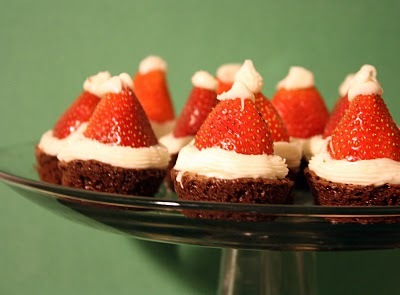 These Brownie Santa Hats are easy to make and visually appealing. These are a sure kid – and party – pleaser! 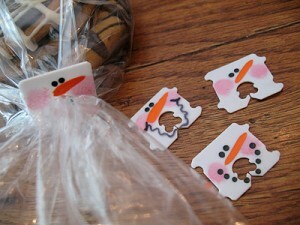 I made these for a preschool party one year and they were a hit! Bonus points for fruit in a dessert. 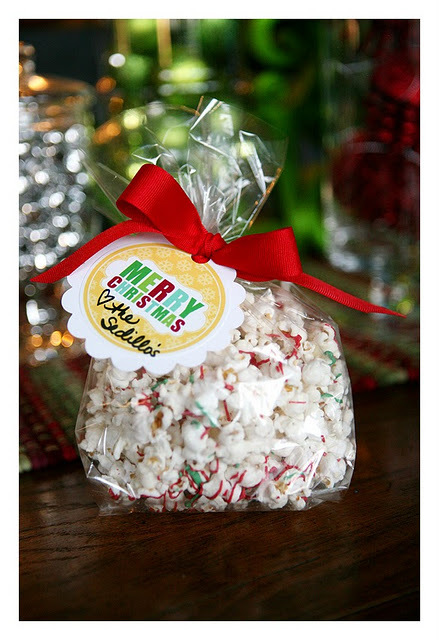 Chocolate Popcorn can be eaten right away if you aren’t using it for gifts. Popcorn is a healthy snack, right? I am bringing the nutrition! In fact, I kind of want some right now. 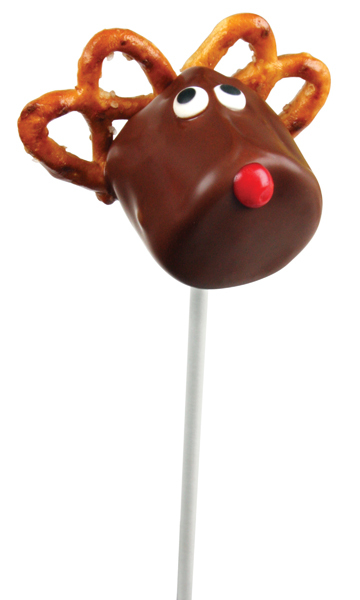 I love these Reindeer Marshmallow Pops so much! I can just see my kids “galloping” these across the table. To stick with our “healthy” theme use low fat pretzels and dark chocolate in the treat. [You know I’m kidding, right?] Just enjoy! Would you like to create special family moments that your loved ones will look forward to year after year? Here are 25 Days of Christmas Treats: Delicious, no-fail recipes to please even the pickiest eater! Another Chocolate Pretzel treat that is easy and delicious. Lots of people love this treat. The hardest thing for me is to wait for the chocolate to harden. Oh yea, this one doesn’t have marshmallows so it’s a little higher on the healthy scale…right? 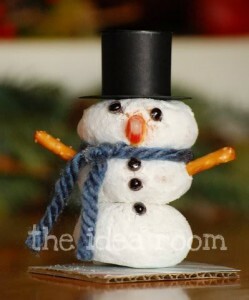 Powdered Donut Snowmen – I can see how these would be great to share with others, but I can’t see making enough for a party. They seem pretty time intensive. It would be great to make a few for the family, take some pictures to put on Instagram, and then eat them! They are so adorable and who doesn’t love powdered donuts? Of course if you decide to make any of these Christmas treats and wrap them up as gifts, you totally have to try this adorable snowman bread tag reuse project! I can guarantee that making these will not make you gain weight. Remember to save your bread tags! Do you have a favorite holiday treat to make with your kids? Don’t forget to capture Christmas with pictures! Here are 5 easy photo ideas to capture Christmas. No problem! It’s a great idea! These are so cute! Bookmarking this entry for the weekend. 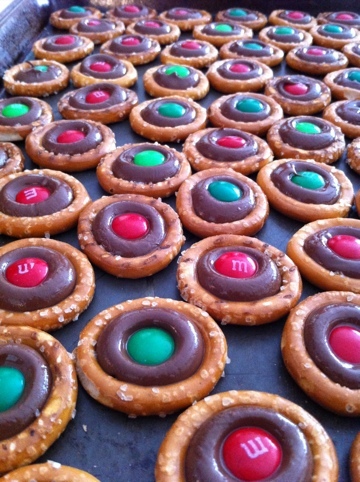 we made the pretzels with hershey’s kisses and m&ms and oh my so addictively yummy!!! we used peanut butter m&ms and pecan halves too!!! these were gone in no time!!! I make the pretzel Rolo’s every year. SO YUMMY!